Photographs are one of the most treasured mementos a parent could have of their child. Many parents are uncomfortable making the decision to have photos taken, when they are grieving the loss of their baby. 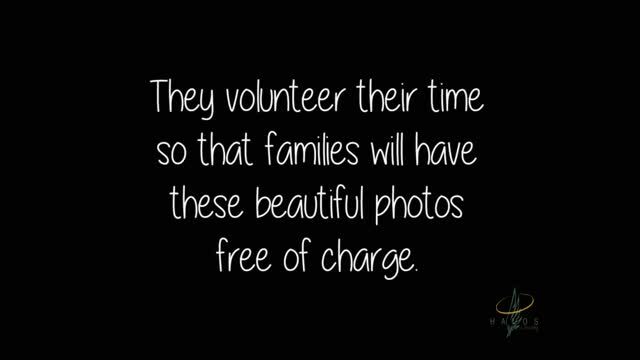 Those photos will be there when they are ready to have that peace and remember their child and the time they had with them. We also provide photography for memorial services, for any age child. This is done in a very discreet manor, so that parents may look back and see all those loved ones that were there to remember their child and the impact that he or she has made in their lives. All of our memorial photography is done FREE OF CHARGE for parents. Please let us know if you would like more information on becoming a volunteer photographer for Halos of the St. Croix Valley.